There was a lot going on during last night's "The Game Awards," including a new trailer for Hideo Kojima's Death Stranding that featured a baby inside Norman Reedus' stomach giving a "thumbs up." 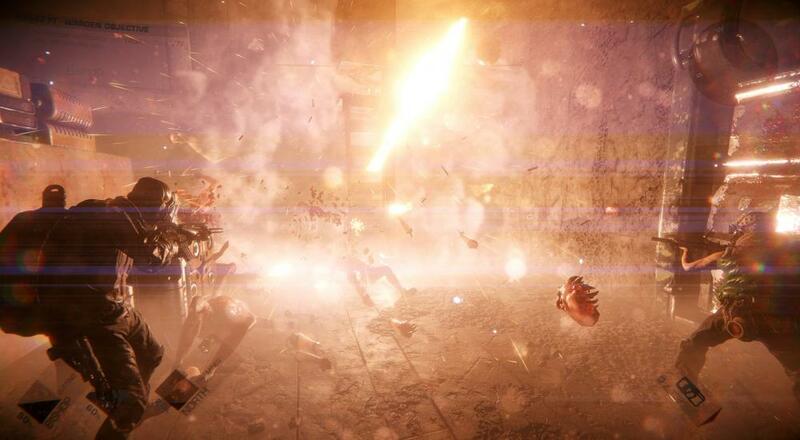 Amidst all that, 10 Chambers Collective showed off some gameplay footage from their forthcoming FPS co-op shooter, GTFO. Since announcing the game this past June, the Swedish developer has been pretty quiet on details about the title. With last night's trailer, it appears that we'll be getting more info with greater frequency now. The main focus of the two-minute video is the moment about halfway through when a bunch of monsters bust through a door and attack everyone. Prior to that, things are pretty quiet as four people make their way through some underground area in search of a vault. It's all very moody and while there are familiar beats (i.e., "we're busting into a place to steal some stuff and get out"), the part where "things go bad" and you have to try to get away looks hectic. You're not setting up defensive areas to trade bullets with cops, instead you and your buddies are working to just survive against a horrific swarm. 10 Chambers Collective has also tapped Adam Gascione, best known as one of the writers involved in the story for Last Of Us, to help out with the story. Per Gascione, "The narrative of GTFO encourages exploration and discovery. The more you play a character, the more you learn about them - like how they ended up as scavengers trying to survive in this grisly and disturbing underworld called The Complex." GTFO will be coming to the PC sometime in 2018. It will support four player online co-op throughout. Page created in 0.5502 seconds.